Catch up with our news and events. Brand New, spacious 1, 2, & 3 bedroom townhomes for all income levels. There has never been a more serene spot for seniors on a fixed income to call home than at Riverwalk Place, part of Appleton’s new riverfront neighborhood in the Eagle Flats development. Delight in the peace and serenity of beautiful waterside views and natural elements just steps away from your front door! At Riverwalk Place, eye-pleasing details and amenities for personal comfort have been chosen with care both inside and out by a friendly, caring staff. Enjoy participating in resident activities or take time to savor a cup of coffee on the porch overlooking the Fox River. 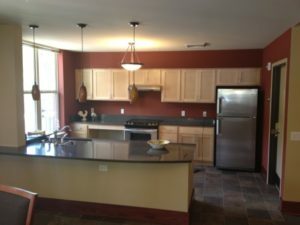 Each apartment is designed to be a comfortable place to call home for income-eligible seniors age 62 and older. Located close to the heart of downtown Appleton, Riverwalk Place residents enjoy the convenience of Valley Transit services right at the front door, making it quick and easy to travel to area businesses and shopping centers. For income eligibility qualifications or additional information about how to become a resident of Riverwalk Place, contact the Manager at (920) 733-5046. All completed applications must be either mailed or dropped off at the offices of the Appleton Housing Authority. We must have an original signature on every application. Applications can be mailed to 431 E. Eagle Flats Parkway, Appleton, WI 54915. If you need any assistance in completion of the application you can contact the Manager at (920) 733-5046. Also you MUST contact us when there is a change of address or household members. We will be contacting you at your last known address by letter. Failure to update your address may result in your application becoming inactive if we are unable to contact you. If during the application process you would need a translator the Appleton Housing Authority will provide one. Managed and operated by the Appleton Housing Authority (AHA), Riverwalk Place is Appleton’s newest affordable living site for seniors. 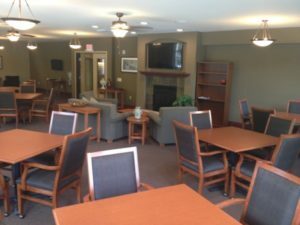 The AHA also manages the Oneida Heights senior complex in Appleton, as well as other family housing sites and programs. 925 W Northland Ave. Appleton, WI 54914 925 W Northland Ave.
©2019 Appleton Housing Authority. All Rights Reserved. Website Design and Development by Stellar Blue Technologies.